A concise, practical book on the person and work of the Holy Spirit. Many people find it easy to understand about God and Jesus, but struggle to understand quite how and where the Holy Spirit fits into the picture. Who exactly is he? And how does he work in our lives? This book cuts through the confusion and looks at what the Bible says about the Holy Spirit. 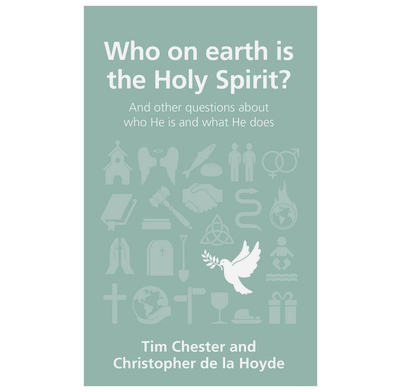 Suitable for all Christians, and especially those who are struggling with questions about who the Holy Spirit is. This little book attempts to deal with a very emotive subject area and nails its colours to the mast from the very beginning [page 8] by saying "We want to raise your expectations of the Spirit's work in your life. When you pray, we want you to expect the Spirit to work miracles. When you talk about Jesus we want you to expect the Spirit to create faith in people's hearts. When you read God's word we want you to expect the Spirit to create intimacy with the Father. When your tempted, we want you to expect the Spirit to gives [!] you alternative desires. etc." Sounds a little like the present prevalent 'name-it-and-claim-it' movement to me. Godly men through the centuries know that The Spirit does say No, or not yet or occasionally yes. Why? Because the Holy Spirit only grants that which is within God's plan, His timetable and His will. The Father points to Jesus; the Holy Spirit points to Jesus - so we must ask in His name to be wise. All Christians are 'work in progress' through the sanctification of the Spirit's prompting, leading and encouragement to be fit for Heaven. We must never ask for anything and expect it as a right. That is not the Gospel nor the work of The Spirit. The booklet misapplies a quotation in Galatians that meets a natural human desire of anticipation that by 'expecting you will receive'. Not true. Unscriptual and misleading to those who ask and find they are declined. They are often left with a feeling of rejection or 'lacking in spiritual standing'. This is often very destructive to the young, immature Christian who is looking for the rock and are thrown a worldly pebble by their misguided teachers. Asking for something is not formulaic as suggested by the booklet - and the expectation is certainly not a right. But I am unapologetic about wanting to raise the expectations of Christians that the Spirit can bring life to the lost, speak through God’s word and sanctify our hearts. If this is not true then Christian ministry is impossible. We want to show how Christians experience the reality of the Spirit’s work in their lives. Christianity is not merely assent to a set of ideas, but a living relationship with the living God. A gem of a book that helps us embrace the beautiful work of God's Holy Spirit in our lives. Full of carefully thought through Biblical wisdom, carefully explained and thoughtfully illustrated with vulnerable personal examples from the authors' lives.